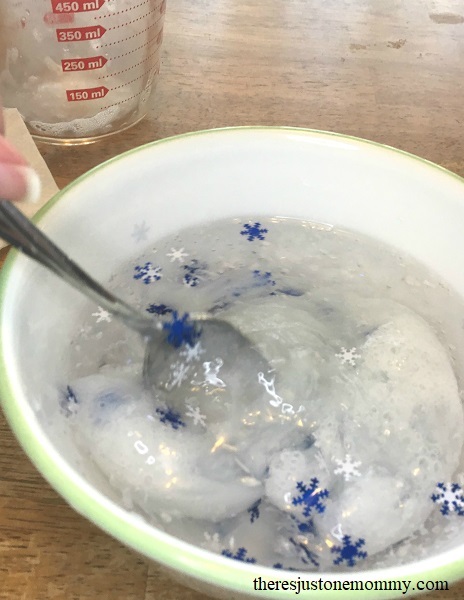 There is one sure way to get my daughter smiling: make some amazing homemade slime! 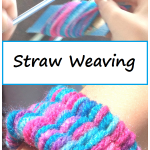 There is just something about the stretchy, slightly sticky substance that kids love. 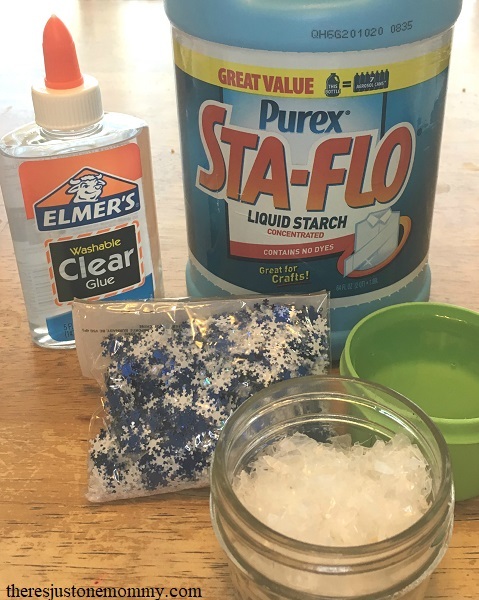 And since liquid starch slime is so easy and quick to make, you can make a batch in just about any theme, like this snowflake slime, in just minutes. 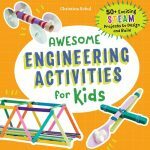 You can make this ahead of time, or get the kids involved in making their own homemade slime. 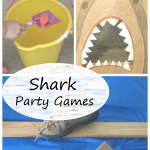 They’ll have a fun, ooey, gooey slime to play with in just 5 minutes. Pour your clear glue into your bowl. 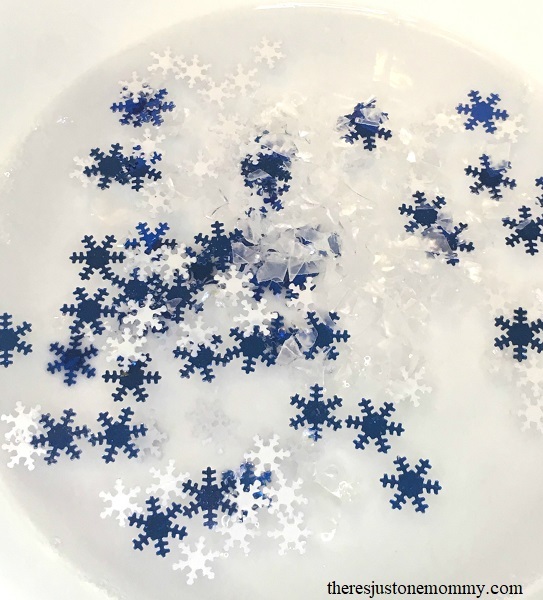 To make snowflake slime, add in a generous helping of plastic snowflake confetti pieces. 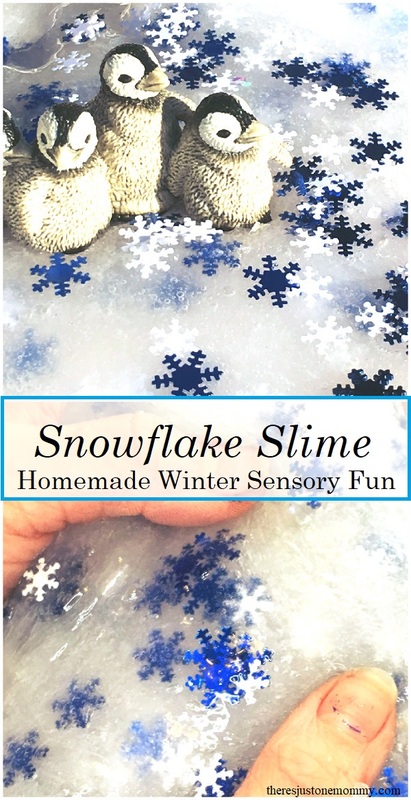 We also tried adding artificial snow, but it wasn’t as noticeable in the finished slime. Slowly pour in your 5 oz. of liquid starch and stir it with your spoon. The mixture will immediately thicken. This is because glue is a polymer and the liquid starch is changing the structure of that polymer as the two come together. Head over to Little Bins for Little Hands to find out more about the science of slime. Pretty soon it will become too thick to stir with a spoon. It’s time to pick it up and finish mixing in the liquid by hand. 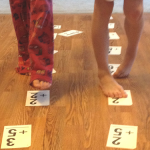 This is a great step for kids! The slime gets better the more it is played with. 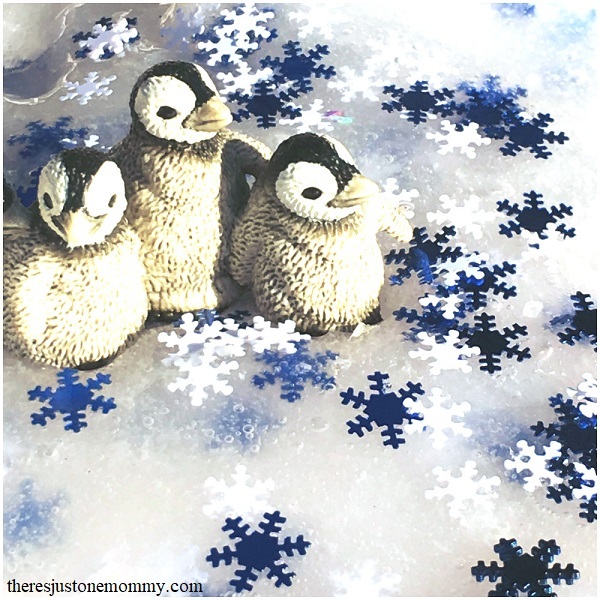 We had fun pairing this winter-themed liquid starch slime with some polar animals. 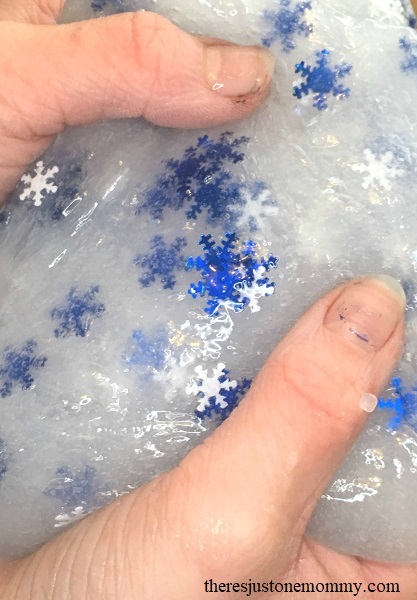 This snowflake slime also makes a fun DIY gift idea for kids. 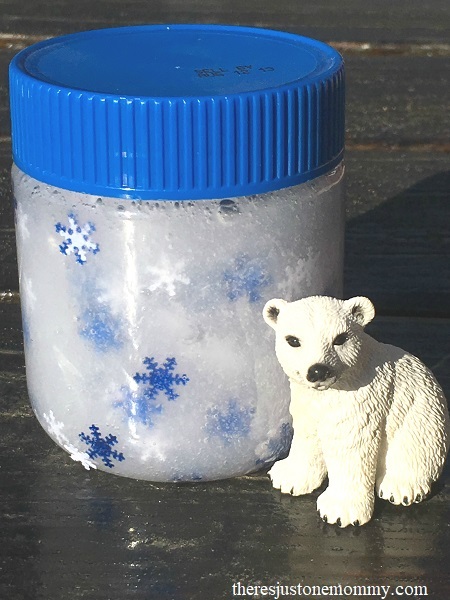 Put the slime in a clear container with a screw on lid and add a polar animal or two for lots of sensory play fun. The slime should keep for at least 2 weeks, and then you can mix up another batch in a whole new theme!